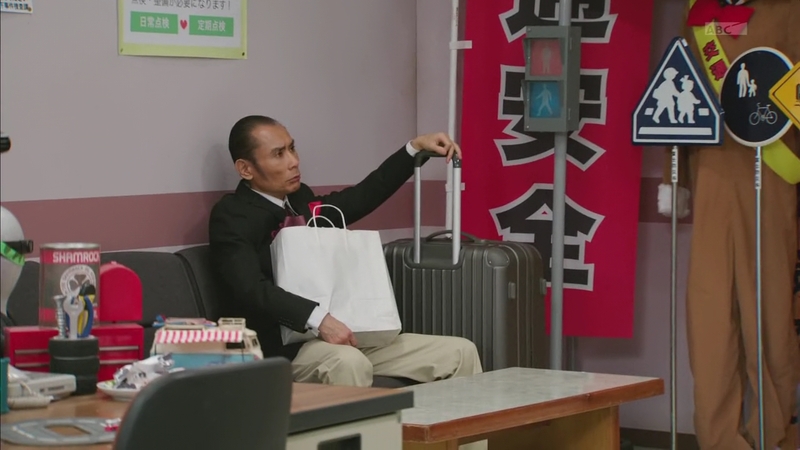 Recap: Kamen Rider Drive, Episode 19 – What Can Judge the Police? 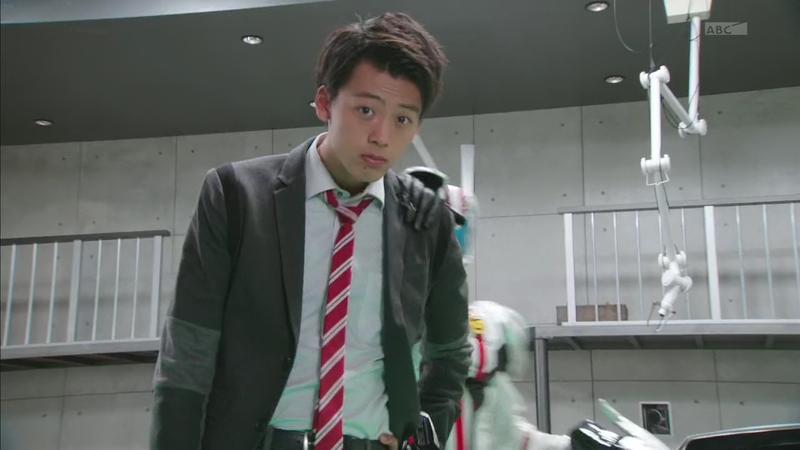 Gou runs straight towards Chase who is inside Ride Crosser. But Tridoron arrives to shield Gou from the blasts. 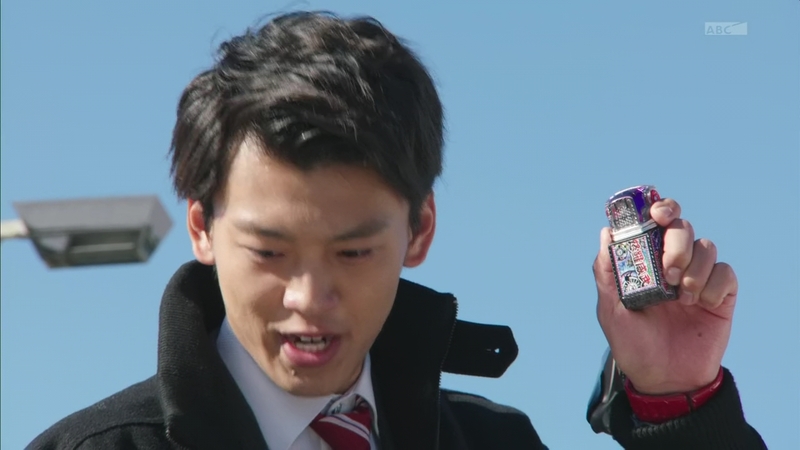 Shinnosuke hops in and they manage to get Chase out of Ride Crosser. Chase runs off. Back at the apartment, Otta asks Tachibana why he would do this. Tachibana explains that he wanted to draw out the real Judge who should be worried now that people realize the suicide 5 years ago was a fake. If they play their cards right, they’ll be able to find and arrest the real culprit. But Otta does not understand. Would Tachibana-san really give up his beliefs and ideals as a policeman to do this? Yes, Tachibana replies. Otta says this cannot be. If Tachibana continues, he will have to stop him. Otta storms out. Shinnosuke gets direct with Tachibana. 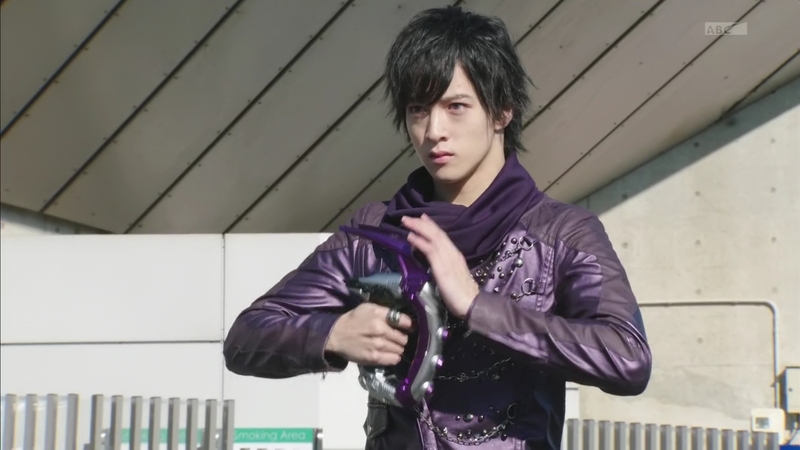 For the Roidmude to copy him, there needed to be a lot of emotion coming from him to allow that to happen. Was it the need for revenge in the death of Okajima Toma? Tachibana explains that after Akie’s parents died when she was young, her only blood relative left, her brother Toma, died being known as a criminal. That weighed on her everyday and even ruined her first chance at being happy when her fiancé cancelled their wedding. Tachibana felt responsible for this since he wasn’t able to catch the real suspect. And the Roidmude 065 drew from that anger and hatred. 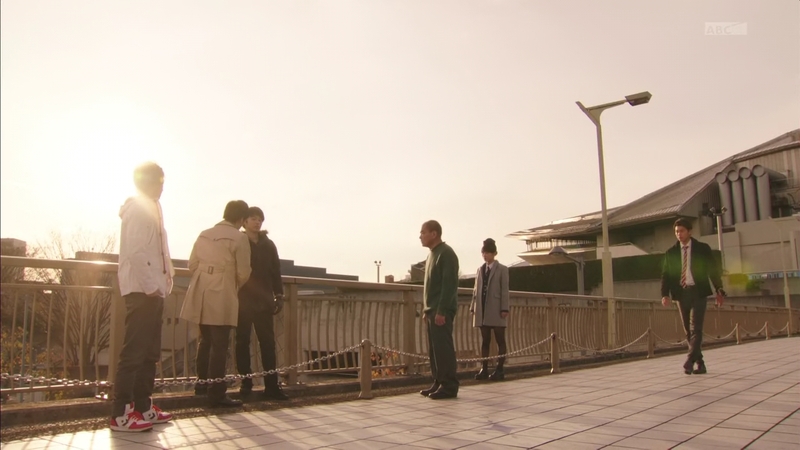 The Roidmude appears and zaps Shinnosuke allowing Tachibana to leave with. Meanwhile, the hooded figure in front of the computers and likely real Judge turns out to be the guy who wanted to film Gou earlier. Gou is walking along, annoyed by the whole situation when suddenly, a mob of people go up to him wanting a picture with “Judge.” Gou runs and hides and the mob runs off. But the 065 Roidmude appears, thinking he’s found Judge. They have a back and forth pointing fingers at each other as to who’s the real Judge. Gou henshins and they fight. But he’s back at the Pit now. He’s still henshined because he can’t calm down otherwise. Kiriko shows them why “Judge” attacked Gou in the first place. A video of Gou declaring himself to be Judge has been sent to TV stations and is now all over. Gou can’t believe he is being used as a scapegoat. He tells them it was shot by a guy named Utsugi, but he doesn’t have any way to contact him. That’s okay, Kiriko says, since Colorful Commercial saw it all. They bring the screencaps from Colorful Commercial’s video showing Utsugi’s face to Otta. They realize this is the real Judge so they must quickly find him. Kyu suddenly pops in and says he thinks Utsugi isn’t his real name. And he couldn’t find anything using facial recognition either. Just as suddenly, Chief Jun appears as well. Chief Jun apologizes for being away for so long and explains he lost his passport right before they were about to board the plane to Hawaii. So he and his family traveled around Japan instead. He hands each of them pasalubongs from his trip and says his relationship with his daughter is even worse now than it was before. Anyway, Shinnosuke shifts into top gear and runs off to find the button. Both Kiriko and Otta are also in top gear and head out as well. Kyu sees Utsugi has set up a new revenge site. 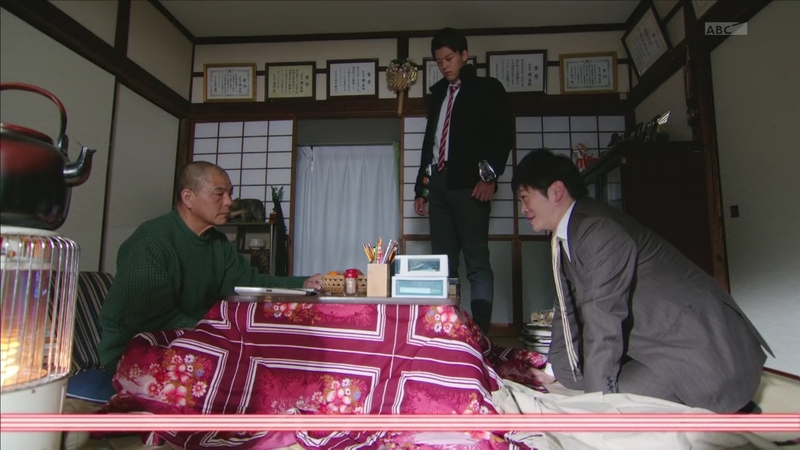 Belt-san informs Shinnosuke that Utsugi will enact his revenge in 2 hours. 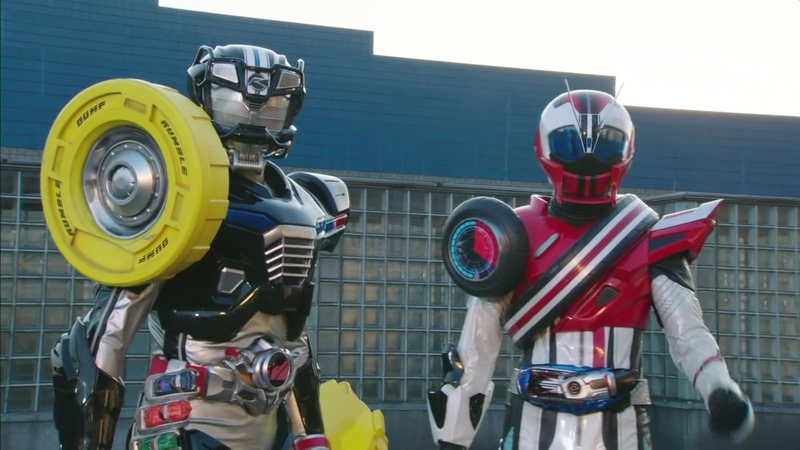 Shinnosuke searches around the bridge for the button and Belt-san sends the Shift Cars to help. Just as he’s searching, Akie arrives and tells Shinnosuke that she’s quit her job and is moving away from the city. 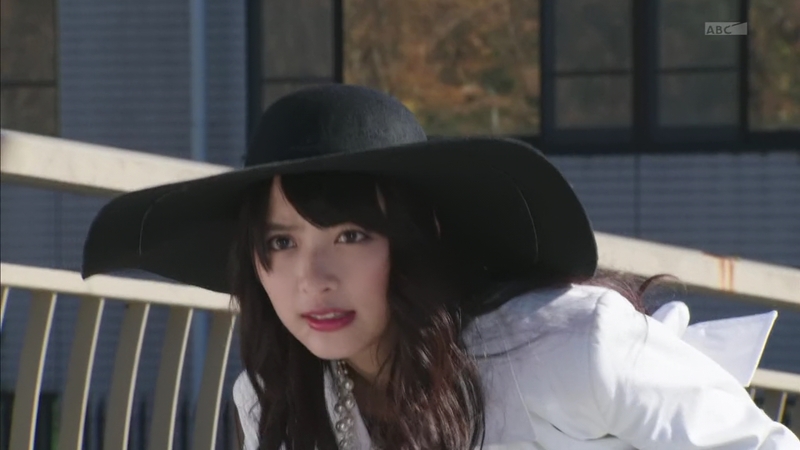 Shinnosuke asks her to wait a little bit more as he and his comrades are now chasing after the true culprit. While Otta runs around, he runs into Colorful Commercial. 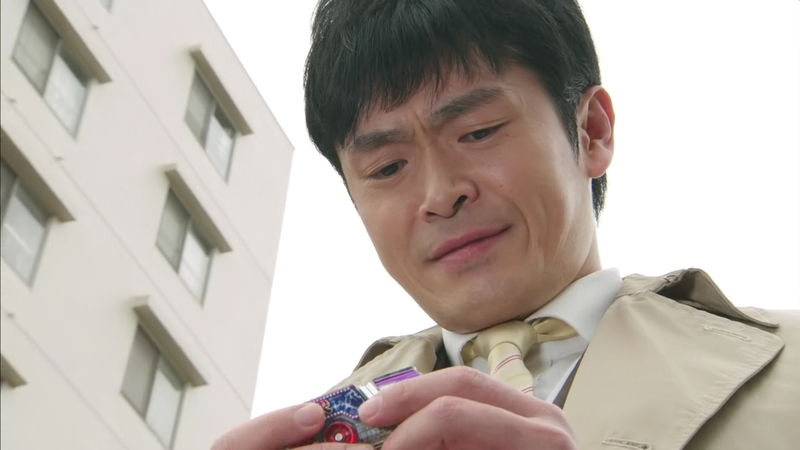 He recognizes it as one of Shinnosuke’s minicars and wonders why it’s here. He picks it up and sees how old fashioned it is, like himself. But some things about police work never change. He learned that from a sempai of his, the same one who’s committed a crime to lure out a criminal. Otta cries and his tear falls on Colorful Commercial who lights up and starts playing enka music to help cheer him up. Otta realizes now’s not the time to be moping. Colorful Commercial hops off and heads to the others. It tells Belt-san it feels hot blooded and is filled with police soul. Shinnosuke knows it’s from Otta. Otta returns to the SID and Kyu tells him about the tons of new requests being sent to Utsugi’s revenge site. How can they possibly know which one Utsugi will choose? Chief Jun says they can’t do anything but turn to their fortune for the day. He opens the book and finds his passport! More importantly, Otta knows just the way they can catch Utsugi. Utsugi has chosen his target. A woman. With a dog. He goes to confront her. But it’s Kiriko! She delivers a high-heeled Kiriko Kick and Otta manages to cuff Utsugi. Otta explains he’s studied this case for 5 years and realized there’s a pattern to whom he attacks. So he narrowed down the candidates and took a gamble using a detective’s intuition. But why did Utsugi choose Okajima Toma? He did not fit the pattern. Utsugi maintains that there’s no proof he was involved in that. But Shinnosuke appears with proof. He’s found the button, thanks to Colorful Commercial. And the button has the fingerprints of Okajima Toma and Utsugi. Tachibana appears, accompanied by 065 and they demand to have Utsugi handed over for punishment. But Otta refuses. Utsugi will be judged with due process. That’s the justice police believe in. 065 says he’ll finish off Utsugi and continue to avenge. Tachibana says that wasn’t part of the plan. But 065 says he only used Tachibana’s anger to evolve. 065 charges toward them and knocks Otta out. Shinnosuke henshins. Shinnosuke goes Wild and calls on Rumble Dump for help. 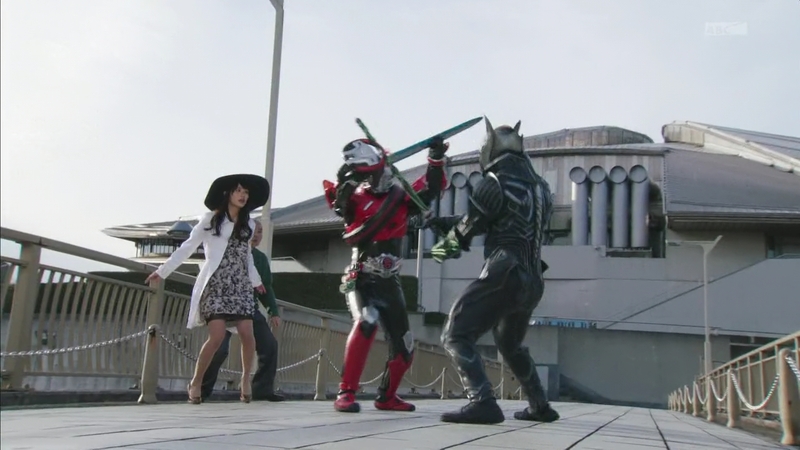 Chase suddenly appears, but Gou does as well. Gou says this is official police business so he and Chase should settle things separately. Fine by Chase. 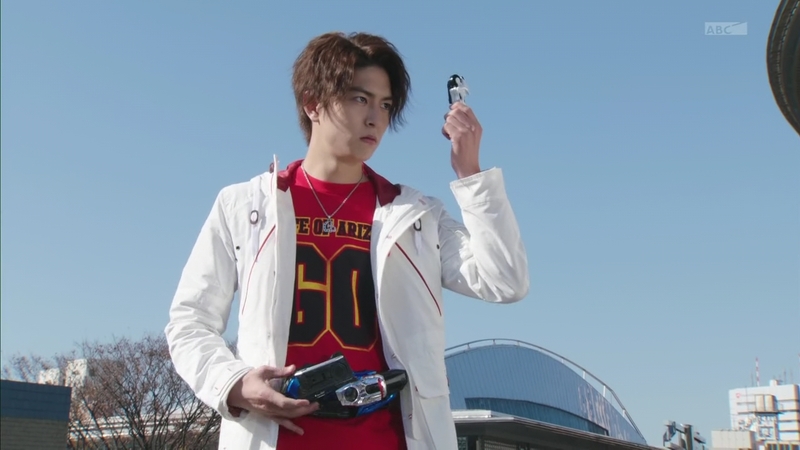 Gou goes Dead Heat and Chase goes Spider. Chase tries initiating Ride Crosser, but it doesn’t work. 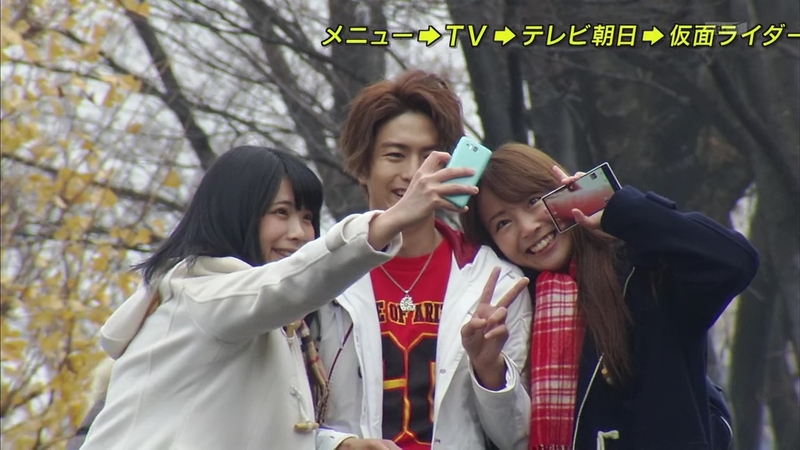 Gou laughs. He didn’t bring his bike today. Shinnosuke uses a Full Throttle Dump Finisher on 065. Chase is enraged they’ve killed another of his comrades. But Gou’s Sudden Dead Heat forces Chase to run away. Gou happily tells his Shin-niisan that he can fully handle Dead Heat now. Otta wants to absolutely beat the crap out of this a-hole. But Gou stops him. He’s not worth it, Gou says. 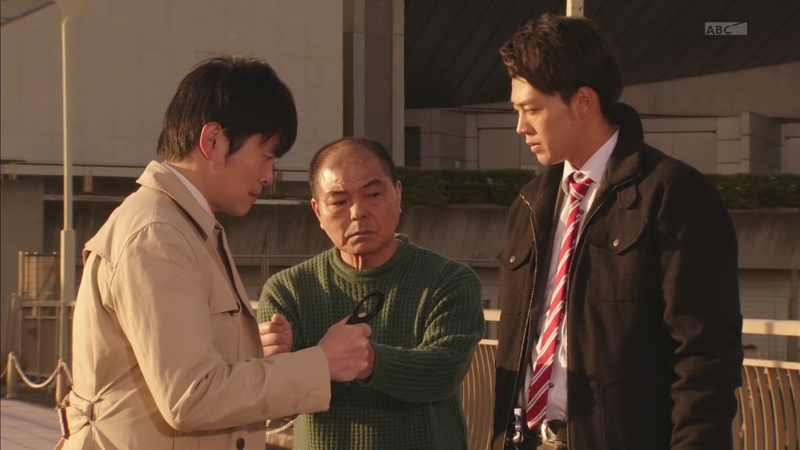 Otta officially puts Utsugi under arrest and Kiriko takes him. Tachibana holds his hands out to be cuffed as well. 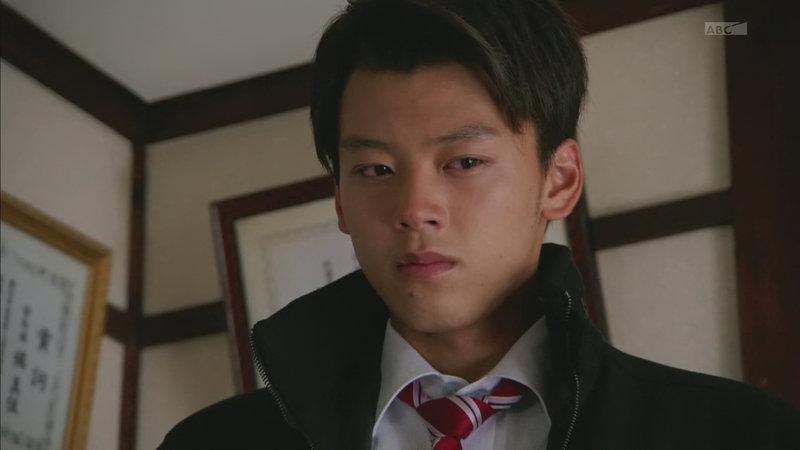 Otta hesitates, but Shinnosuke walks over and says the only crime was his twisted heart. And they’ve already taken care of that. He puts Tachibana’s hands down and asks him to tell Akie that her brother has been proved innocent. Tachibana asks Shinnosuke his name and tells Otta that he’s got a good comrade. Yes! Otta says. All smiles indeed. Good resolution to the case. It was a great two-parter for Otta. He’s definitely opened up and is now definitely fully a part of the team. I think it developed very well from when we first met him. It’s also very refreshing to see them doing actual police work and police things, like arresting people and all that in addition to getting rid of the monsters of the week. So overall, another good episode. ← Recap: The Amazing Race 26, Episode 2 – "I'll let you go under and then I'll put it in." There are actually a few misses here when it comes to suspension of disbelief. For one, the Judge murder case was already five years old, which means that that button was sitting at the bottom of the pond for five years already. Realistically speaking, it’s unlikely that they would find any fingerprints on it considering the long time that it has been in contact with the elements. That said though, I still stand by my initial assessment that this was a very solid arc. would have agreed with you there if only they actually mentioned what exact kind of powers Colorful Commercial had.